When I was at the WCPT conference last year I came across the CONSORT guidelines for the publication of systematic reviews of RCTS, which I’d never heard of before. I made a note to look it up and finally got around to doing it. I thought would be quite helpful in planning and carrying out these kinds of research projects, so I’m sharing a few notes here. 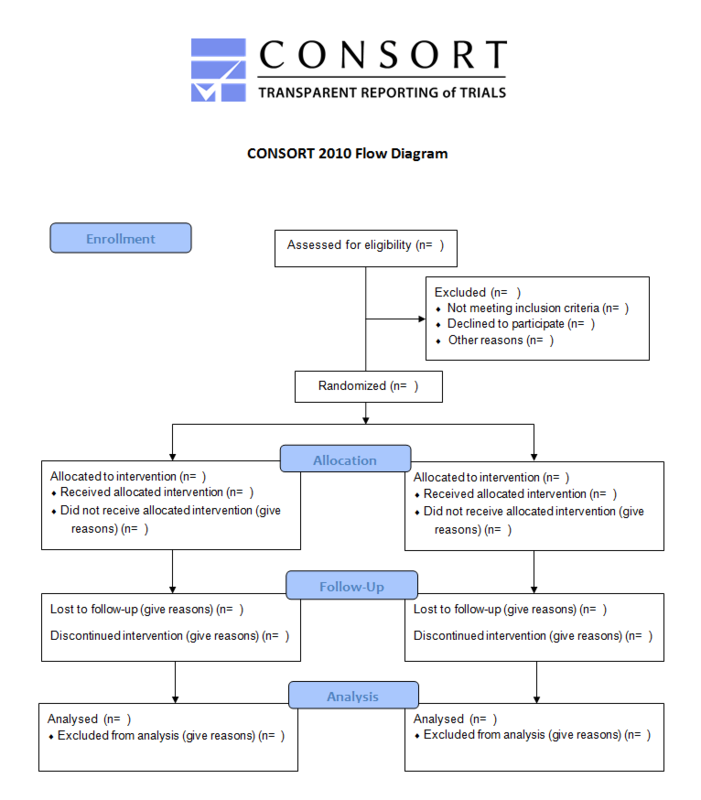 CONSORT stands for Consolidated Standards of Reporting Trials and is an “evidence-based, minimum set of recommendations for reporting randomized trials”. In addition to the CONSORT statement, there is a checklist that can be used for evaluating the quality of reports of clinical trials. It is, in essence, a description of how to conduct and report on systematic reviews. If you’re interested in conducting systematic reviews of any trials, then this is definitely something to pay attention to. Link to a PDF of the Consort diagram.